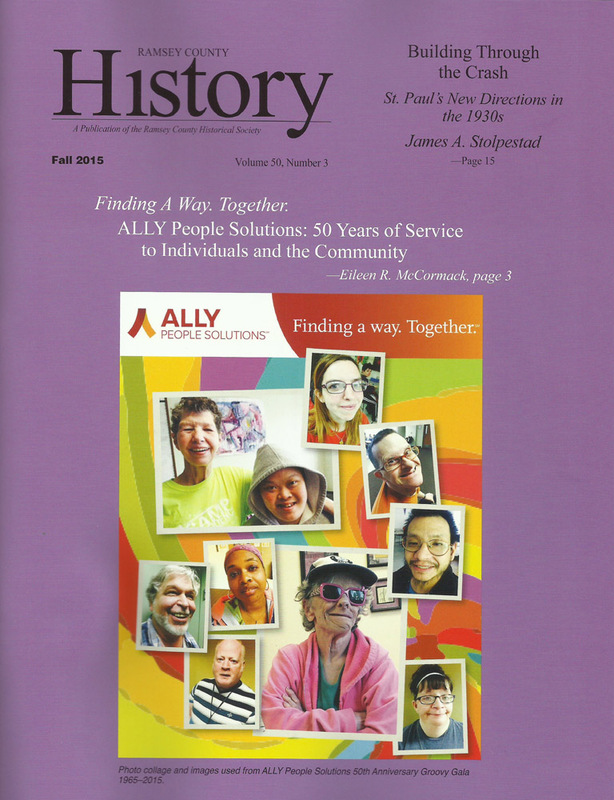 The Fall 2015 issue of Ramsey County History magazine is now released. ALLY People Solutions: Video from “Groovy Gala,” their 50th Anniversary celebration. Thank you ALLY, for the nomination for a partnership award and the recognition as a Platinum Sponsor!